More stupid utterances. Though I have a pile of content I am writing, I decided today on another post on stupidity. My arm is still very sore and I am afraid that from how it feels it has another fracture elsewhere that as only just come to light. This is really disappointing as I can’t get out on my push bike or pump some weights. Those of you who have known me will know how my personal fitness was precious to me. I also want to see if I can ride my motorcycles again. It has been almost 2 years since I was able to do that. My aim is to get on here and write “done it”. And do you want to know something? I will, even though at times I have a melancholy moment or two about it. After prolapsing 2 discs which extruded into my spinal column in 2009. I was clearly told not to do any lifting, let alone heavy objects, for a year at the very least. Mark you it didn’t stop me doing the gardening and continue with carefully clearing the overgrowth around the property. As those of you know me well, I had to move in late July/August last year. All that heavy lifting over a period of 4 weeks left me with additional complications with the back and now, bummer, both my legs. My left leg is clearly more problematic than in the early weeks after discharge from hospital in 09 and my right, which I had no issues with, is now a source of discomfort and chronic unreliability. But hey back to this post. I have a terrific workshop, and as one of my favourite things was to fiddle about in my Father’s workshop, I am very pleased about it. 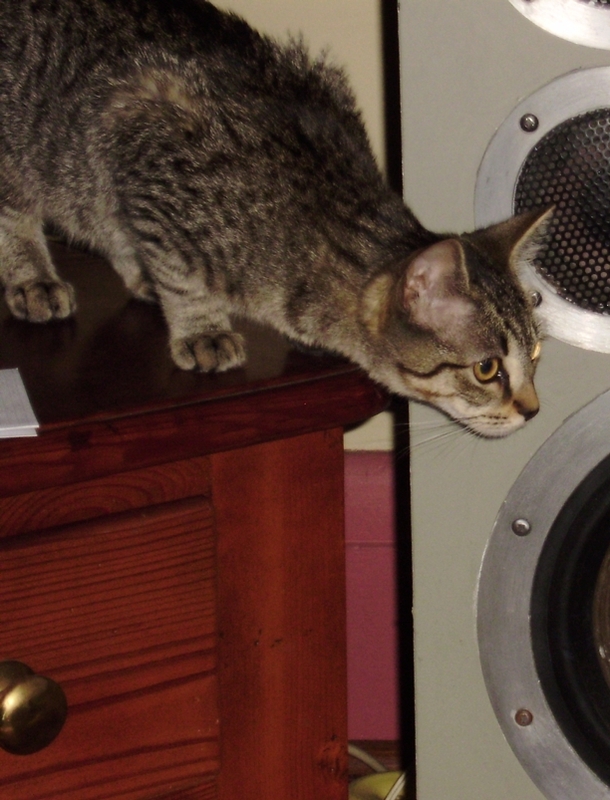 Loads of space, warm and dry, I even have my sound system hooked up. Look it’s the obvious standby filler when short of ideas — not that I am — but it will be easy to write and it’s fun. If I can evoke a few Oooos and Rrrrs well that’s just fine. But just a quick couple of shots of my the latest addition to the fold. The Story of how she came to be here is for later in the week. I will cover off the stupidity of some aspects of family law, property issues, breach of promises (my lay term) and what is known in legal circles “back yard” defamation. Before I can do this I still have to finish watching the Concert. Still have 3 hours of the DVD to go. Today’s post, unplanned, is Libya Egypt and the North African revolts. This is all very complex. So while I need time to craft an article due to the speed of events as they overtake, I decided I would quickly put something together NOW.Those who are following my tweets, and there are not that many, know that I hold differing views to most about what is just going on in the region. While we were all looking toward Libya, the Israelis launched massive air strikes against civilian targets in Gaza. The planes flying with impunity over Libya last week were quite possibly Israeli. And while the world scoffed at Gaddafi’s plea that the revolt was inspired by al Qaida, it happens that al Qaida’s north African wing had issued a statement declaring it would “do whatever we can to help” the uprising in Libya. 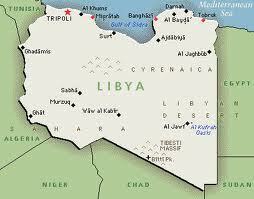 Want to know where Cyrenaica is? Perhaps it will help if I tell you its capital is Benghazi. Guess why the US and Britain, with special forces troops at the ready, backed away towards the end of the week? Just see the footage of the Jihadists and Muslim (fascist) fundamentalists taking over the streets in Benghazi at prayer time. Since the coup in 1969, Libya has been a secular state. Forget that Mr Gaddafi is a strange sort of fellow but he had gained favour with the US with a crackdown of Islamist fundamentalism in 2006. (See the book Blowback by Chalmers Johnson. Blowback is a term used by the CIA to describe the unintended fuckups American Policy brings upon itself. Are the US and Britain not quite so keen to see him fall today? Why are the reports are less dramatic than earlier in the week? Are we being readied for an about face? Perhaps time for some history. Since 1945, the US has overthrown more than 50 governments democratically elected, legitimate or popularly installed and used mass murderers such as Suharto, Mobutu and Pinochet. Do not forget how apartheid South Africa was propped up as the African bastion against socialism. There have been others, like Mubarak or the Saudis, to dominate by proxy and torture when required. All continents countries and governments are targeted so long as it is in the current interests of the US. In the Middle East, America has sustained every dictatorship and pseudo-monarchy. The CIA and MI6 in “Operation Cyclone” secretly bankrolled Islamic extremism. The object was to smash or deter nationalism and democracy. Step up to the plate Khomeini Iran 1980. Most of the victims of this western democracy state terrorism have been Muslims. The people gunned down this past week in Bahrain and Libya [both “priority markets” for the UK arms sellers including BAE] join women and children bombed in Gaza by Israeli-US F-16 aircraft last week while we had our eyes directed by the media towards Libya. The revolt in the Arab world is against not merely against a resident dictator here or there, but against a worldwide economic tyranny, imposed by the US Agency for International Development, the IMF and the World Bank, which have ensured that rich countries such as Egypt are reduced to vast sweatshops, with 40 per cent of the population fortunate enough to be employed earning less than $2 a day. The people’s triumph in Cairo was the first blow against what Benito Mussolini called corporatism, his definition of fascism. In Libya this past week, things have been going on that just don’t add up. It is a country with Free Advanced Health Care (not unlike Iraq pre 2003), Free Education and Free Internet. It had full employment. Now, how is it that having declared that all communications from Libya were down, that Arabs, supposedly resident in Benghazi, spoke not with distinctive accents influenced by their native Arabic tongue, but had the distinct twang of North America? Strange that. Another odd thing was how the BBC, for example, seemed constantly able to find at random residents to interview before any reporters got a foot on the ground? People just need to get things right before they start shooting of their mouths and treating us like fools. There was also another piece of reporting rubbish that emerged this week. The truth : Ms Green is a UK subject and claimed to be teaching at Tripoli University in 1984. They even went so far as to tweet they had actually been given the job by Gaddafi. This might not be quite so absurd and so unlikely you may think. Problem is there are a number of facts that show they are just telling lies. Lets take the university claim I guess they may have forgotten that the only university in Tripoli is actually called Al Fetah not Tripoli University named in 1976. Next getting to work and live in the country let alone work and not speaking Arabic or even French. They have claimed previously to being resident in the USA the previous 12 months in 1983. This later claim with the relations between Libya as they then were with the US and the UK in 84 make it total nonsense. 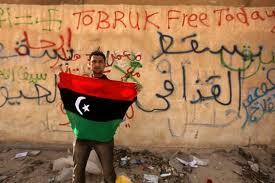 Libya was under blockade by both the US and British. This coming from a Senior Executive of IBM.. In the claim that Gaddafi gave her the job teaching is problematic as Gaddafi didn’t actually make his first visit to th Al Fetah university until 1985. In fact in an earlier blog post they admit to have NOT got into Libya at all but were stuck in Tunis and decided to buy a rug instead. To understand the context of this expert on Libya we need some more history. It also highlights how a little bit of knowledge and the peddling of misinformation especially when fools like this attempt to put themselves up as experts can be disingenuous and stupid at best. Ms Green happens to hold a very senior role in IBM providing advisory to Governments and Government departments. The absurdity of this persons assertions is completely exposed when you consider the following events. The danger for us all is like the main stream media we can fall victim to such nonsense and so become part of the machinery of disinformation! 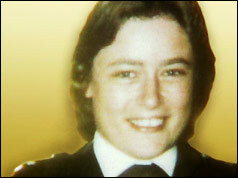 For those of you who don’t know, 1984 was the year when a young policewoman Yvonne Fletcher was shot dead outside the Libyan embassy in London: 17th April. Metropolitan Police besieged the embassy building until April 27, and in retaliation, British diplomats and their families were besieged by hostile crowds in the Libyan capital, Tripoli. This led to retaliation and all diplomatic relations being broken off between Libya and the UK. The following timeline of just some events in the preceding period will illustrate the delusion of this reporter. On 16 February 1983, there was a clash between Libyan and American planes after the American planes had violated Libyan air space 80 km from Benghazi. 2 Libyan planes were shot down. On 17 February 1983, President Reagan ordered the nuclear-powered aircraft carrier “Nimitz” and supporting battle group to sail provocatively just outside Libyan coastal waters. Throughout 1984 there were no less than 7 incidents of intercepts of over 40 “CIA” agents (so described by Libyan intelligence) picked up by the Libyan security services. December 1984. 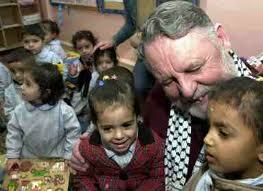 After protracted negotiations of over 8 months between Terry Waite, envoy of the Archbishop of Canterbury, and Colonel Gaddafi the last 4 British Hostages were finally released Christmas day 1984. In early 1985 assistant CIA chief Jack Mahoon admitted the CIA had attempted to assassinate Gaddafi several times in the preceding 4 years. Gaddafi was obviously aware of this. I expect he was a bit pissed at this. I would be. You would agree, in 1984, Libya would be not be the place for ANYONE who had been in the US for 12 months previously. Certainly not if they were also from the UK. Add to that a dead police woman in UK, Gaddafi accusing Britain of attacking his London embassy, the surrounding of the British Embassy in Tripoli with tanks. No diplomatic relations with either UK or the US. British hostages being held ; UK subjects expelled it would have been a bit fanciful to have entered those year(s) let alone teach at Tripoli University and also being a Graduate in American studies. In fact “Tripoli University” doesn’t exist. It is called el Fatah. It all doesn’t ring true does it? A probability next: get a rubber pad printing set for the passport next. What’s the lesson from all this? Don’t trust out of hand what you get told or see written. KEEP AN OPEN MIND. There are some real idiots out there ready to lead you up the garden path. This is especially so in relation to Libya today. Some other things I find strange from the media this week. Since the Monarchy had been overthrown in 1969, just where did those pre-Gaddafi flags appear from overnight? Another question; did you ever wonder why all the banners are written in English. Just for whose consumption are they for. The people (us) of the oil hungry English speaking counties i.e. The US, UK AUS ? If you consider it is for all looking in from outside …do you recall any in German or Italian the 2 biggest buyers of oil from Libya. Odd that. More so if you consider the SAS and US special forces were ready to drop in on Wednesday and not to have a cuppa with the Colonel in his tent. The use of so-called African mercenaries can be debunked by BP, AGIP and Exxon who were all using sub Saharan “Black African” workers as well as British, French, Americans and Germans. What we are treated to is a black African surrounded and harangued by “protesters”. We are then treated to the spectacle of seeing him bashed to death. There is one problem with the video: on his shirt as he turns fleetingly towards the camera is the emblem of AGIP, the Italian oil company. Just how bad is that for news worthiness? It’s just plain criminal stupidity. About 90 Kenyans and another 64 citizens from South Sudan, Uganda, Zimbabwe, Lesotho, Zambia, Rwanda, South Africa, Tanzania, Democratic Republic of Congo, Sierra Leone and Burundi landed in Nairobi on Monday, according to officials. “We were being attacked by local people who said that we were mercenaries killing people. Let me say that they did not want to see black people,” Julius Kiluu, a 60-year-old building supervisor, told Reuters. “Our camp was burnt down, and we were assisted by the Kenyan embassy and our company to get to the airport,” he said. Rights organisations say that thousands of workers are stranded in camps and private homes, protected by their colleagues as their governments fail to evacuate them from the chaos. Hundreds of black immigrants from poor African countries, who mainly work in Libya’s oil industry as cheap labour, have also been injured in the violence. Some were unable to seek medical treatment for fear of being killed. About 1.5m Sub-Saharan Africans worked in Libya as low-paid labours in the oil industry, construction, agriculture and service sectors. Saad Jabbar, deputy director of the North Africa Centre at Cambridge University, confirms Africans have become targets. These attacks have been going on across all of Libya against innocent workers.You may have heard the call by Radio telephone from a Scottish Oil worker who reported that the Germans facility had been smashed up. Perhaps the protesters thought Rommel had returned with the Africa Corps (14% of Libyan oil goes to Germany). 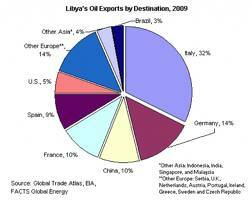 Europe is the largest importer of oil from Libya. In another series of tweets, another Human rights activist purporting to be from an outfit called the Human Rights alliance was tweeting about the murderer Gaddafi, while choosing to ignore the bombing of Gaza. I questioned her about this. Some 5 days ago now. No reply yet. In fact her tweets have disappeared. 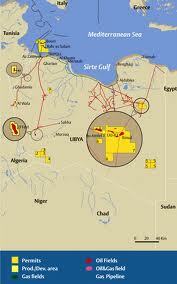 By the way, did you know that Libyan oil takes the least amount of refining of oil extracted any anywhere? In May 2007, Blair had a meeting where he hugged Colonel Gaddafi at that a meeting in the desert was also the then BP boss, Tony Hayward, who signed an oil and gas deal worth around £2bn – yet, less than a year earlier, Gaddafi had publicly encouraged his supporters to “kill” enemies of his regime. Have we been somewhere else like this in say……. 2003? We have been hearing that Gaddafi in a last stand will use chemical weapons of mass destruction. Sounds all to familiar don’t you agree. With the many separate forces opposed to Gadiffi after any change the struggle will deepen as Wests conflicting interests line up to get their booty on the one hand and the Islamist Jihadists on the other. Finally, when did you last hear from many of the twit twats out there in social media cyber space express concern over the attacks on Greek workers or the killing of Palestinian Children last week? Harbour Bridge more painted e-tag signs. I’ll get some of the latest shots but you have to accept a repeat this time. In my search for stupidity, I came across some Tea Party examples from the past week. 1 Governor Jan Brewer (R) is one tea bag short of a full kettle. In a debate this week she showed just how incompetent and uninformed she is about real issues, tripping on her tongue and failing to express even the most basic thought. For goodness sake these people are making decisions that impact the world too. Following the debate, Brewer also avoided the press when asked about her false claim that illegal aliens beheaded people. 2 In one of her most fiery and ridiculous speeches to date, Tea Party queen Rep. Michele Bachmann (REP-MIN) said that the U.S. tax code is a “weapon of mass destruction,” the rich pay too much in taxes, President Obama is “bending down” to dictators and “babying” terrorists, and she believes that Glenn Beck can solve America’s budget deficit. Now how stupid is that? Oh my and Murdoch really pays these clowns: how stupid is he? You have to agree Madeleine Albright, seasoned international diplomat and America’s first-ever female Secretary of State, had it right when she said succinctly, regarding Glenn Beck, cable news’ fleshy, wild-eyed harbinger of doom: “he’s nuts”. 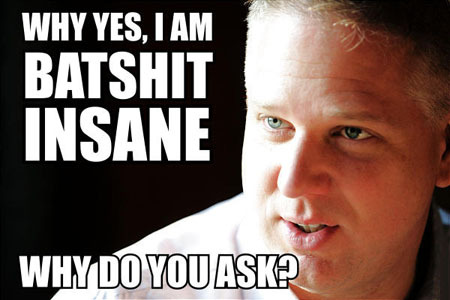 I have a theory on why Glenn Beck is on the air. With apologies to those who deal with very real disabilities, it is suspected Beck has a national platform because he has the Republican version of Tourette’s. He has no filter for which he can keep himself from blurting out The problem is, he’s just a buffoon with the analytical depth of an amoeba. Here is an interview with the Teachers Union Leader in Wisconsin Randi Weingarten;who says state workers in Wisconsin are willing to do their part with budget cuts, but they don’t want to lose their voice. Without the support of the NATO ground attack aircraft direct intervention in the internal affairs of Sovereign Nation of French British special forces and troops from Qatar the factions of the NTC would not have succeeded. It is clear from the siege of Bani Wahlid and Sirte when NATO aircraft have withdrawn from “protecting civilians” and enforcing a “no fly zone” (Gaddafi has no Airpower) the NTC suffer reverses. The brutality of the rebels in Benghazi in the early days is evidence of just who was zooming who. I posted several Video clips of Rebel atrocities showing interrogations of Government troops and the aftermath of their mutilated bodies I also posted video of the public beheading of captured Gaddafi supporters in Benghazi. Libya of all African Nations had the highest indices. 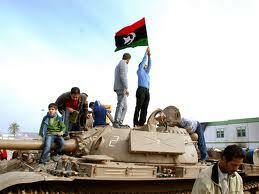 I am no supporter of Gaddafi however what is about to befall the Libyan people will prove far far worse. This was a Sovereign Nation and the WAR upon it is illegal. I wonder how you may view history had the British had decided to intervene against Kwame Nkrumah in 1957 or as the CIA did in 1966. How would it have been had Jerry Rawlings not overthrown the despotic regime of Fred Akuffo and delivered Ghana back to democracy and later again overthrew regime of Dr. Hilla Limann for economic incompetence? The Western notion of democracy is fine so long as you are prepared to accept people always living in poverty, little free or poor quality healthcare, no free Tertiary education, no right to decent housing, no free electricity, no equality in marriage, no equality for women, no racism, and having all your resources stripped bare from your land. If this what you believe the Libyan people want I think you are wrong! It is why the despot King Idris installed by the British in Libya was deposed.